STILLWATER - Mary Bull Huyck, 85, former resident of Mechanicville and the surrounding area, died Saturday, June 23rd at Saratoga Center, Ballston Spa after an extended illness. Born in Mechanicville, June 4, 1933, daughter of the late Harold and Lydia Lane, she was a 1951 graduate of Mechanicville High School. 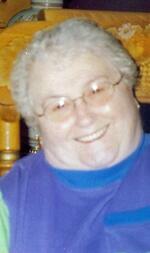 Mary was a certified nursing aide for a number of years with the Visiting Nurses Assoc. of Albany. She helped provide for her family, having several other jobs over the years, like: newspaper delivery (driving 168 miles per day), clerk at Two Guys and the former movie theater in Waterford. She enjoyed crocheting, bingo, bargain shopping, watching soap operas, tri-chem painting and especially camping with family and friends at Dun Loggin or McConchies camp sites. Mary’s most joy was her family, tending to all her grandchildren’s wants and needs. She will be surely missed by all. Survivors include her husband John Huyck, her children and their families: Paul and Cheri Bull of Stillwater family include Paul and Brenda Bull, Amie and Joe Thomas, Josh and Travis (Danika) Bull. Son-in-law Rick Dickinson Sr of Schaghticoke and his family Diana and Rick Dickinson Jr. Dennis and Diana Bull of California and family Heather Alvarado, Dennis Jr (Kim), Denise and Kasey Bull, Leah and Joe Hume and step-son Scott Mailly, brother-in-law Jack and Patti Flood. Great grandkids: Avery, Jordan, Mya, Maddy, Nova, Rickey III, Connor, Tabitha, Dakota, Jessie, Daniel, Decker, Brody and great great grandson Devin.Also In-Laws Beatrice Lane and Frank Mysliwiec. Mary was predeceased by a daughter Susan Dickinson, grandson Chadd Bull, step-son Patrick Huyck, and siblings George and Eleanor Lane, Doris Arciello and Joan Mysliwiec and former husband George Bull. Family thanks staff of Saratoga Care Ctr B-2 Unit for your wonderful care of Mary. Private services held at convenience of family. A Burial service will be held on Thursday at 2 PM at Saratoga National Cemetery. In lieu of flowers, remembrances may be made to patient’s activity fund of Saratoga Center, 149 Ballston Ave., 12020 in memory of Mary Bull Huyck. 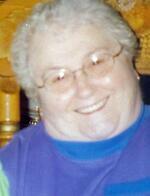 To send flowers to the family of Mary J. Huyck (Lane), please visit our Heartfelt Sympathies Store.